Located in the heart of the beautiful Ozark Mountains at an elevation of 1,200 ft, and with a estimated population of 14,943 residents, Harrison is the county seat of Boone County, Arkansas, and serves as the economic hub for over 90,000 individuals who come from the surrounding areas to do business, shop, eat, and find entertainment. 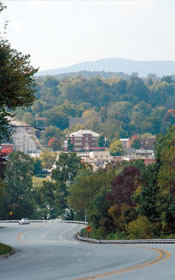 Harrison offers the conveniences of an urban area yet retains the qualities of a small town. According to Forbes Magazine in 2010, the local air of friendliness has earned Harrison national recognition as one of the "best places to live". Harrison is also known as the "Crossroads of the Ozarks" and for good reason too! 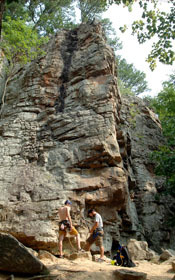 Harrison is only minutes away from any of the best spots that the Ozark Mountain region has to offer. The majestic Buffalo River National Park is only 15 minutes south of Harrison and stretches some 159 miles, offering great canoeing, spectacular scenery of cliffs & waterfalls, fishing, camping, and hiking trails. Numerous other local streams such as Crooked Creek offer fantastic small-mouth bass fishing. The White River located approximately 30 miles east of Harrison offer world-class trout fishing. Eureka Springs, an eclectic Neo-Victorian community, only 40 miles to the west, is a historical village teeming with talented artisans, unique shops, good restaurants, and astounding architecture hidden around every corner. Eureka Springs is best-known as the location of "The Great Passion Play" - the world's largest outdoor drama. Located in Mountain View, Arkansas, is only a hour and a half drive southeast of Harrison and features seasonal crafts people exhibiting numerous local pioneer skills (crafts, art, musical instruments, music, story telling, etc.). Nearby is Blanchard Springs, one of the most beautiful flowing springs and cavern systems in America. Is just 40 miles north of Harrison and is considered the top location in the United States for music entertainment theaters (it contains more theater seats than New York City!). There are also numerous discount/factory-outlet shopping malls. The Shepherd of the Hills - an outdoor drama, and two theme parks: Silver Dollar City - an 1880's theme park with many rides and craft shops; and White Water, a large water park that is quite popular in the summer time. As the county seat of Boone County, Harrison serves as the social, political, and economic center for north central Arkansas. Harrison offers the services of at least nine lending institutions that range from large nationally owned to totally locally owned firms. Check the web sites of the following lending institutions, Bear State Bank, Arvest Bank and Equity Bank, to see representative examples of the financial services that are available in Harrison. Check out these two web sites for comprehensive information about Harrison and the North Central Arkansas region: The Chamber of Commerce, which represents the greater Harrison area and The Harrison Daily Times, which is the only local newspaper and a great source of information. Both of these sites should greatly assist you with getting acquainted with our community and area. Why search for properties on multiple web sites? We are not the largest Real Estate Agency in the area but NO ONE will beat our level of personal service, knowledge of the area and commitment to helping you obtain your real estate needs and dreams! If you are looking for genuine personalized service in a relaxed pleasant atmosphere you have found it at Hudson Realty! Moderate with four distinct seasons that are favorable to outdoor activities. In the Spring (March-May) the average high temperature is 69 degrees while the average low of 47 degrees. In the Summer (June - August) the average high temperature is 87 degrees with the average low temperature of 66 degrees. 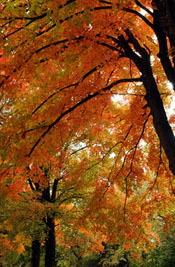 The Fall (September -November) has an average high temperature of 70 degrees while the average low temperature is 49 degrees. The Winter (December - February) has an average high of 48 degrees while the average low temperature is 38 degrees. The wettest months are March-April with July-August being the driest. Average yearly rainfall is approximately 46 inches. Harrison has a 174 bed fully certified medical facility with 800+ employees that recently underwent a major $25+ million addition and offers a wide range of services which include: Intensive Care, Cardiac Care, Dialysis Unit, Outpatient Care, Women's Center, Cardiac Rehab, Radiation-therapy, Laser Surgery, Renal Dialysis, M.R.I., 24 hour Emergency Service, Ambulance Service & Helicopter Pad. The active medical staff presently includes 77+ physicians in the following fields: Anesthesiology, Dentistry, Emergency Medicine, Family Practice, General Surgery, Internal Medicine, Obstetrics & Gynecology, Oncology, Ophthalmology, Oral & Maxillofacial Surgery, Orthopedics, Pathology, Pediatric Dentistry, Radiology, Pediatrician, ENT, Rheumatology, Psychiatry, Sport Medicine, Hospitalist, Telemedicine, and Urology. Harrison has one of the finest school systems in the state of Arkansas and was recognized nationally by USA Today in 1990 as one of the top 4 schools nationally for quality of education in terms of money spent per pupil. In 2010 the Harrison public school system was recognized by Forbes Magazine as one of the top 3 school systems in the nation for communities of similar size. Harrison has 4 elementary schools (kindergarten - 4th grade) with 1124 students, 78 full time faculty; one Middle School (5th - 6th grades) with 431 students, 28 full time faculty; one junior high (7th - 9th grades) with 616 students and 46 full time faculty; and one high school (grades 10th - 12th) with 614 students and 48 full time faculty.